There has been a fascinating and distracting discussion going on over yesterday's density article. One exchange, in particular, over efficiency deserves some highlight. Density is about efficiency. More tax revenue per whatever, fewer infrastructure requirements compared to sprawl, more people for efficient transit, which means fewer cars on the road, potentially, greater walkability, etc. I call this the 1970's environmentalist argument because this is the same argument I consistently ran into from Baby Boomers who fought for environmentalism early in life but now have the lake home in the woods (so they can enjoy the fruits of their labor). Their argument when the next round of their ilk wanted to enjoy the lake was less is better. Three new lots are better than five. One is better than three. Less is better and, as Mike would expound on to great lengths, more is worse. As you define efficient, does Darwin's theories on evolution and natural selection describe a process that is or is not efficient? An answer to this question was not forthcoming, but my favorite all time commentor, Ruben Anderson, provided a brilliant reply that deserves its own place in the Strong Towns Canon. Here's that wisdom. Mike, I will try to channel Charles here. You asked what has a "high level of adaptability, [uses] smaller amounts of resources [and] maintains the modern way of life?" It is like the old saying, "You can have this fast, cheap, or good. Pick any two,"
What you are asking for cannot be done. Charles keeps asking you to give examples from evolutionary history for the simple reason that nature has done trillions upon trillions of experiments—literally every life form that has ever existed is a new, slightly modified experiment (with the exception, perhaps, of reproduction by cloning, and we could still argue that). So, we have a history of staggering amounts of testing, compared with a tiny handful of human ideas—and yet we swagger around talking about the "efficiency" of our machines and cities and economies. We don't have a clue what we are talking about. Adaptability and efficiency are polar opposites. If you have the resources to adapt, you have lost opportunity for "efficiency". Whether those resources are in the form of spare food, spare limbs, spare DNA, spare cultural redundancy, spare knowledge, whatever, it doesn't matter. Surplus is a resource that may not have been used in human memory, and therefore is a great candidate for "efficiency". If it is surplus, it means by definition you don't currently need it. Until you do. You can't adapt without surplus. Surplus DNA. Surplus farmland. Surplus building space. Surplus building materials. If you have no surplus, you have nothing with which to work, and so you have no adaptability. There have been plenty of efficient creatures in the history of this planet—most of the extinct ones. They were not adaptable to change. So, it sure is efficient to levee the Mississippi River, such that the river bottom is actually higher than the land to either side. That is a highly fragile situation, though, that is not adaptable to changing circumstances, like a hurricane. A much more adaptable approach is to let the river move naturally, and to keep our buildings off the floodplains. It is very efficient to build section after section of tract homes, all the same, with the same floor plan, same materials, same landscaping, same utilities. But the suburbs are not very adaptable. The book to read on this topic is Antifragile, by Nassim Nicholas Taleb. They show that nature is not at all efficient. 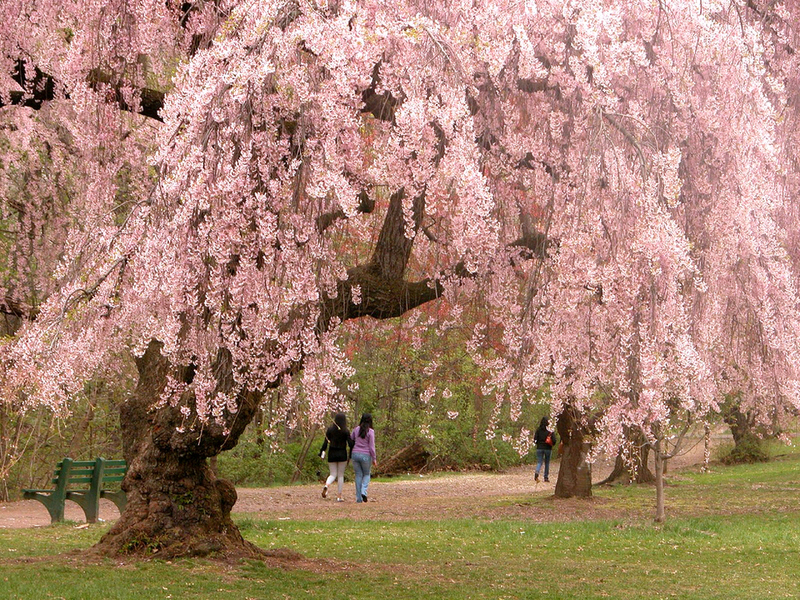 Think of the cherry tree that is covered with tens of thousands of blossoms that just uselessly fall on the ground. That is not very efficient. But it is beautiful. Do we go out to nice restaurants to have an efficient meal? Do we want to efficiently make love? No. Efficiency is what you strive for when you are doing things that are bad, and you want to do them less bad. But what we want are things that are good. Like cherry blossoms. If things are good, you can do them more good, and have more cherry blossoms. So nature is not efficient, but it is non-toxic and fully recyclable. All those wasted blossoms go on to feed the biological nutrient cycle. McDonough and Braungart advocate we emulate nature and create a totally recyclable technical nutrient cycle—unlike our current system of almost no recyclability and wanton downcycling. If all waste is captured as a recyclable or upcyclable biological or technical nutrient then we don't need to be efficient. Waste equals food. And if you have all that surplus, you are very adaptable. So, you asked what has a "high level of adaptability, [uses] smaller amounts of resources [and] maintains the modern way of life?" I have given you the resources to understand why efficiency and adaptability are opposites. You are quite correct that we are in a bind, though. We don't build our world in a Cradle to Cradle way. We don't build good, we build bad, and the correct thing to do in the short term is to use efficiency to be less bad. But if you are hoping that will extend the modern way of life, I have bad news; the modern way of life is already off the table. This shows up everywhere: cities returning roads to gravel, increasing rates of infant mortality, scraping the bottom of the barrel oil and gas fracking, dropping literacy, and lowered life expectancies. Even the Nordic Wonders, like Norway, have only built a social welfare state on the one-time bonanza of North Sea oil. We can't efficient our way back to the modern way of life. So, we desperately need adaptability to deal with the quickly changing world we find ourselves in. Read that again and again. It is really just perfect.